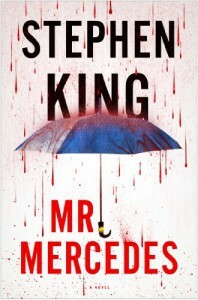 MR. MERCEDES retains the classic King without any signs of paranormal or hauntings. This does what King does best: tells a dang good story. I’m going to try giving you a good description of what to expect, without giving away any spoilers. As you can tell from the book’s summary, there are two main characters: the retired detective and the seemingly out-of-his mind killer. The thing is, this killer was the biggest unsolved case for the detective. The killer takes advantage of this and pesters the detective through anonymous letters and via a website. You can see some of this exchange by going to the website “Under Debbie’s Blue Umbrella” and put in “kermitfrog19” as your password. On the detective side, we are witness to an older man finding his way in the world post-force. Daytime TV, love, and diets included. Some may say this is a bit boring; others will see the story element of this. Now the real reason to keep reading: the killer side. This dude is nuts. He’s the reason you’ll keep flipping the pages. There’s a bit of taboo there, but if you’ve read King, it ain’t anything new to you. Here’s one little hint of things to come (same as some of what the book’s description alludes to): is King twisted enough to blow up Harry Styles? Many folks say King needs an editor. He has one. Some of the “lazy” phrases are classic King. When he slaps a ho-hum at the end of a paragraph, you can picture him sitting in his chair, typing out the story, making it his own. It adds to the page count, it hovers in non-action moments, but it has all of his signature. It’s authentic and it’s what his fans expect. In the end, this isn’t King’s craziest or best. However, it is a well told story that’ll stick in your head after the pages close. It’s vivid and believable. This is definitely a summer read you’ll want to be a part of. Thanks to Scribner for sending this book to me for review. 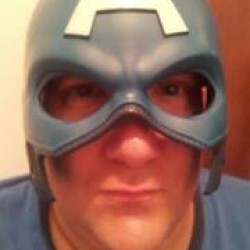 King is what got me to put away some of my childish things and dig into reading. I’m a better person because of it. Thanks, Sai King.